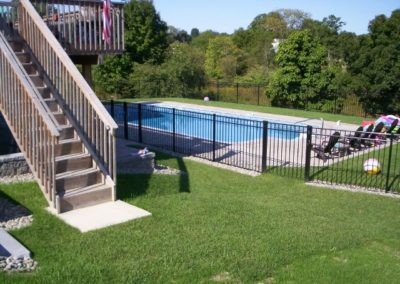 OnGuard aluminum fence is perfect for active areas such as swimming pool enclosures. 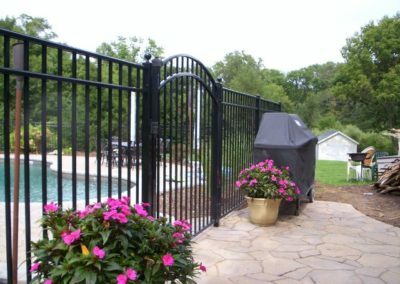 For durability, their rails are extruded with internal reinforcing ribs to provide three points of contact with each fence picket for added strength and rigidity. 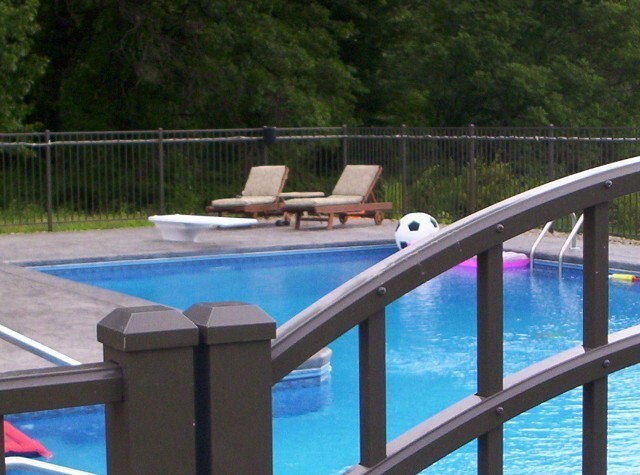 These contact points also eliminate distortion and sagging of panels. 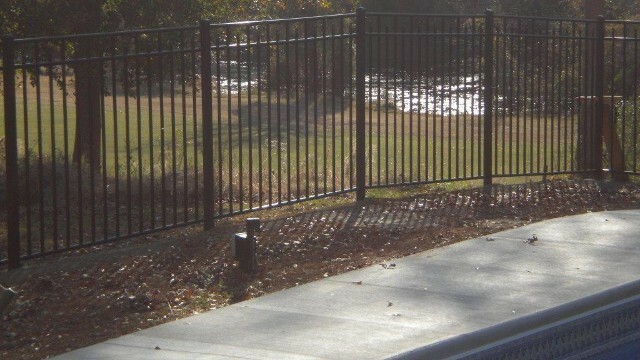 Rails feature beveled edges that add a decorative look and shed water easily, another plus for pool fence. The elimination of seams prevents run lines and the accumulation of unsightly debris, mold or mildew. 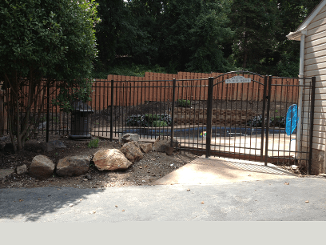 All OnGuard aluminum fence components are punched and notched for assembly then powder coated to ensure all surfaces are completely sealed. OnGuard aluminum fence offers the greatest component wall thickness in the industry, measured before finishing for a true dimension, unlike any other pool fence products on the market. 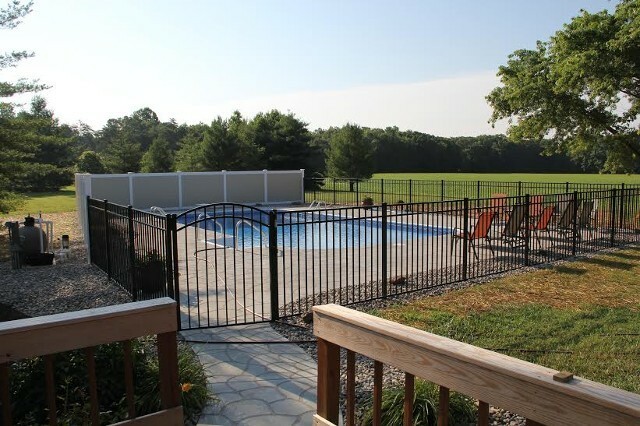 OnGuard’s meticulous attention to every detail, down to the stainless steel screws used for assembly, results in in the finest quality aluminum pool fence products available today. 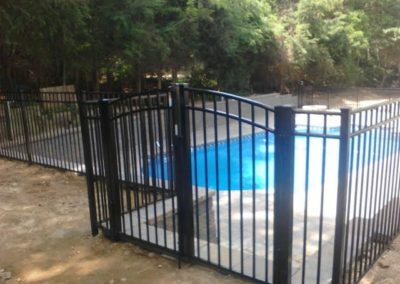 OnGuard residential aluminum pool fence offers the classic look of wrought iron to enhance the appearance and value of any property. Completely maintenance free, OnGuard pool fence features superior strength with elegant rail lines tha remain brand new in appearance during any season. 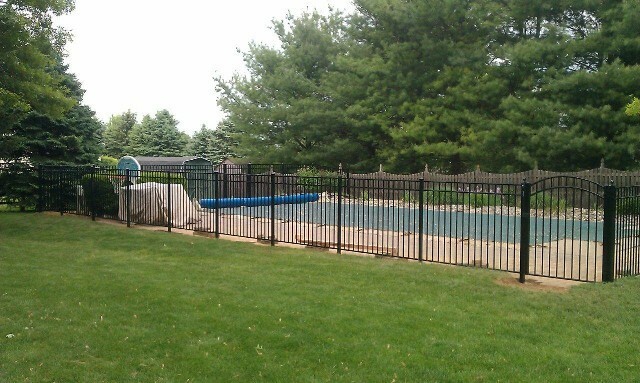 OnGuard aluminum fence is the perfect choice to enclose your swimming pool. 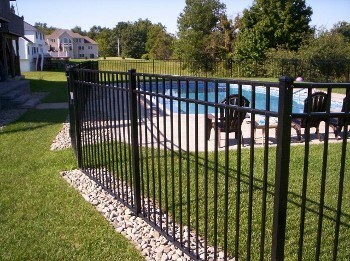 It is designed to meet the stringent BOCA safety code and is available in many styles and color finishes. 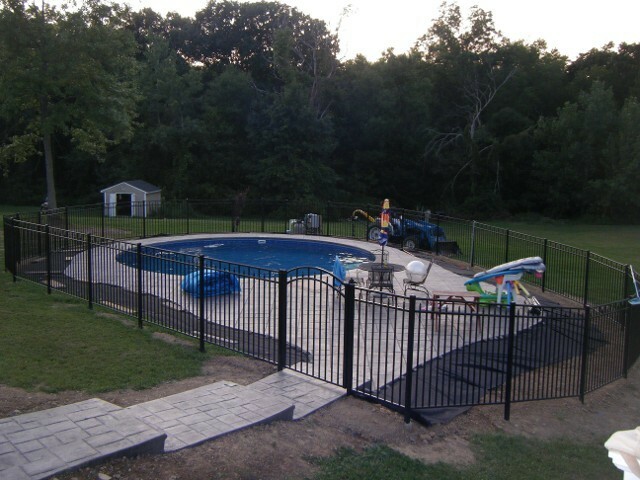 OnGuard aluminum pool fence is designed to ensure durable, maintenance free beauty as well as the ultimate security that lasts for years. 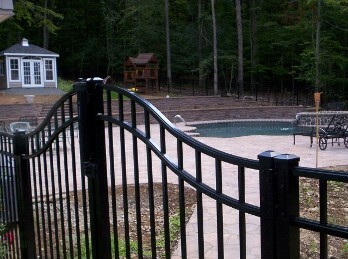 Please visit our products page to see our full line of quality fence products. 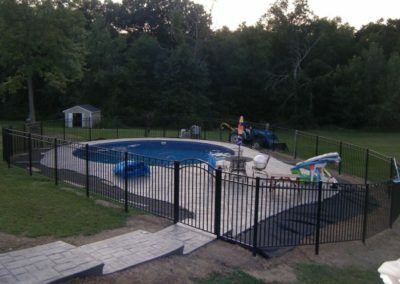 We’ll be happy to provide you a quote for your do-it-yourself installation. 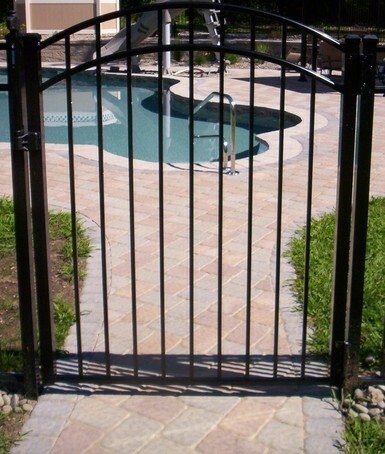 As part of our committment to the safety of children, we provide a free MagnaLatch™ gate latch. 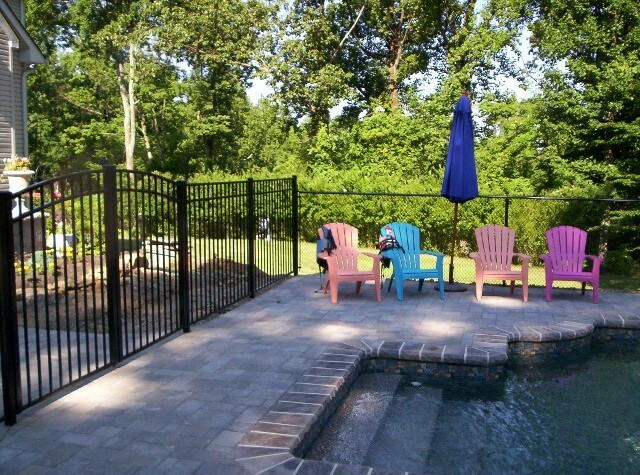 OnGuard picket points are rounded, also for the safety of children and pets, both inside and outside the pool fence. 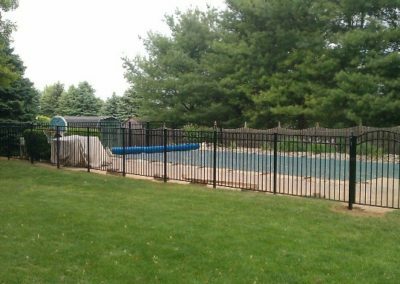 A trademark of OnGuard aluminum fence superior safety and durability is that all pickets and points are seamless, unlike other brands that split open and spread over time. 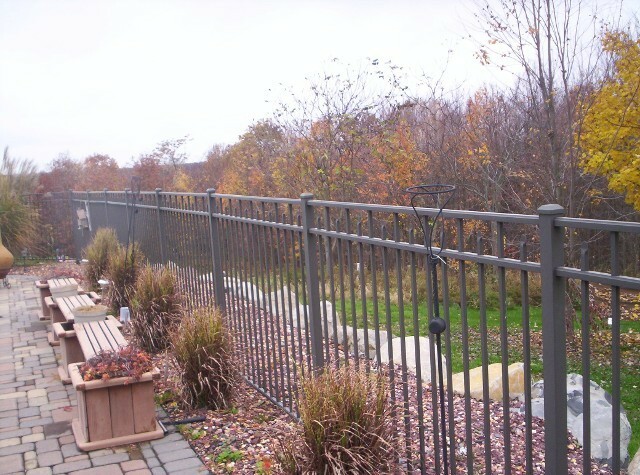 Puppy Picket Panels are available on all On Guard aluminum fence styles except Bunting. 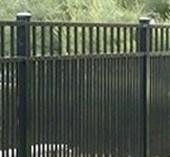 We stock 54 inch Siskin and Starling in black with a nice selection of matching straight and arched gates. 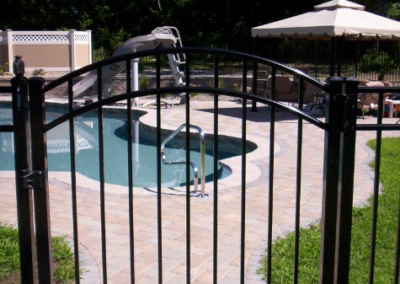 OnGuard™ Heron style aluminum residential pool code fence has no exposed pickets above or below the rails, and no mid rail Heron Onguard Aluminum Fence is designed to meet the BOCA pool code. 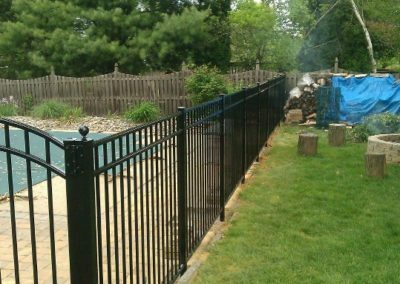 Siskin style pool fence by OnGuard™ has ‘pressed point’ pickets between the mid and top rail that alternate with those of full length. 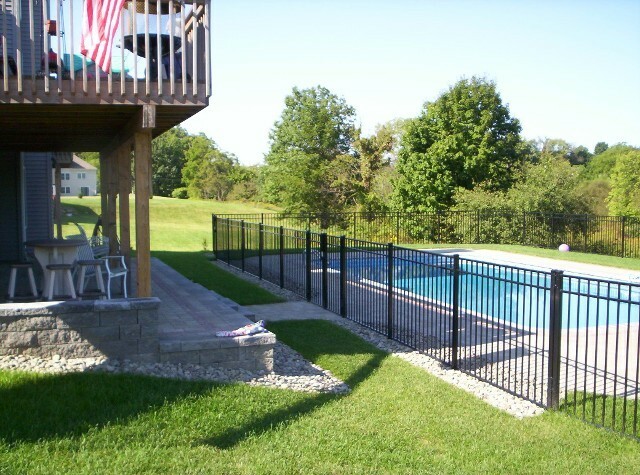 OnGuard Siskin Aluminum Fence has aflush rail bottom and is designed to meet the BOCA pool code. 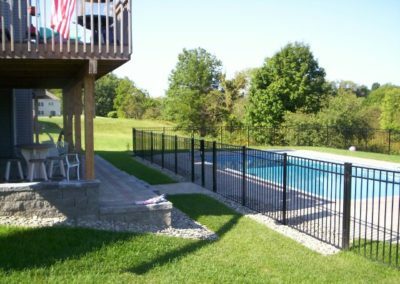 Starling style residential aluminum pool code fence by OnGuard™ features a sleek, modern design with three rails, a smooth top rail and no exposed pickets beyond the bottom rail for a clean, sleek look. 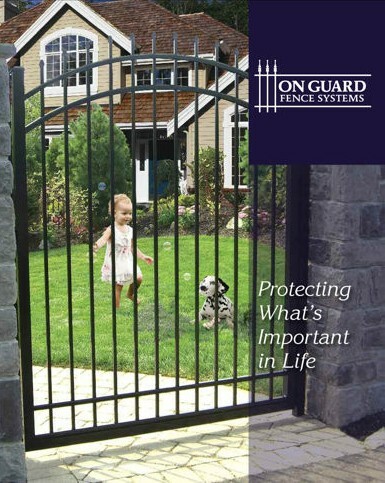 OnGuard™ Kestral style is one of five ‘open top’ fence panels offered by OnGuard™. 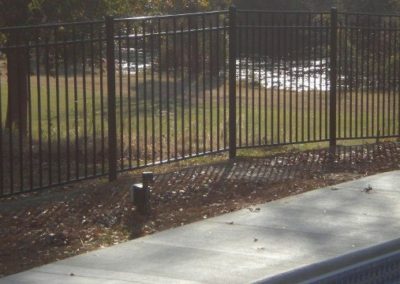 An alternating height pressed point picket extends above the top rail. OnGuard™ Longspur style aluminum fence offers an open top design with even height pressed point pickets extending above the top rail. 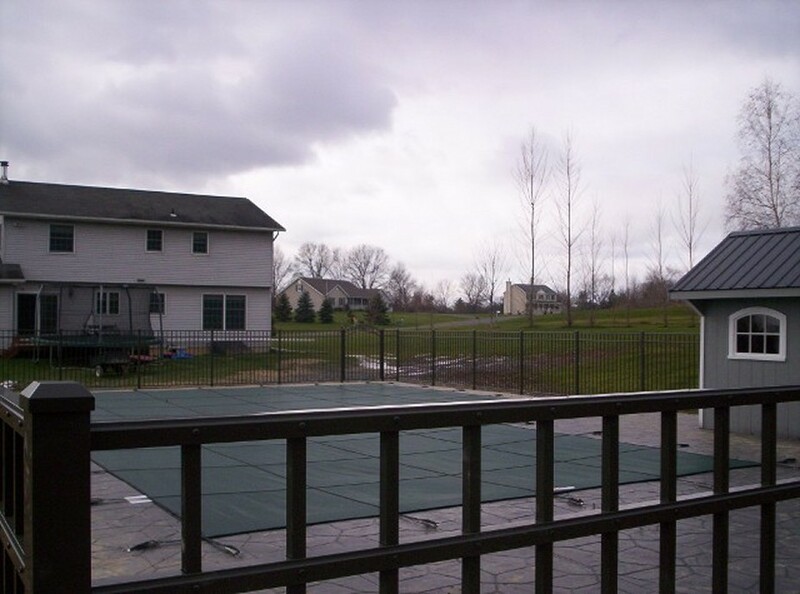 Kinglet Style by OnGuard™ combines an an open top design with tighter picket spacing to provide better containment of smaller pets and exclusion of critters. 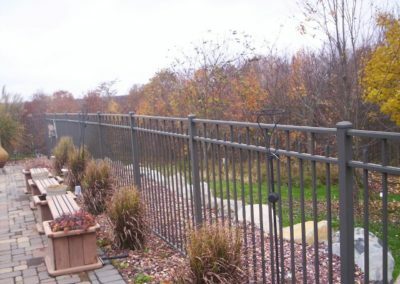 OnGuard™ Bunting Style Aluminum Fence is a smooth rail top with the same close picket spacing of Kinglet to provide superior contaninment and exclusion. 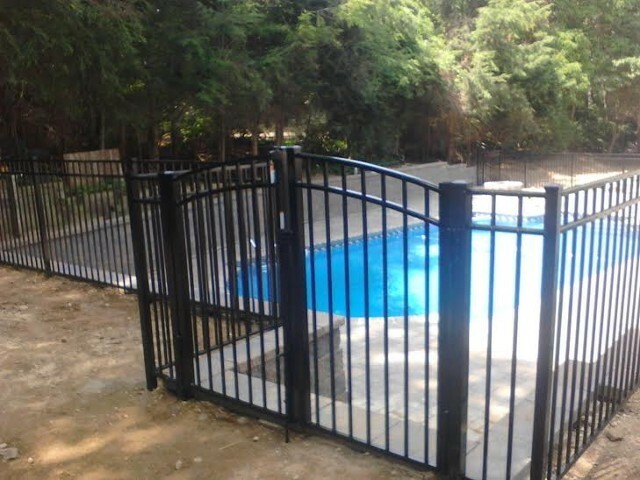 An excellent choice for pool fence! On Guard™ Willett Style Aluminum Fence is another ‘open top’ style with the pickets extending above the top rail in an ‘arch’. 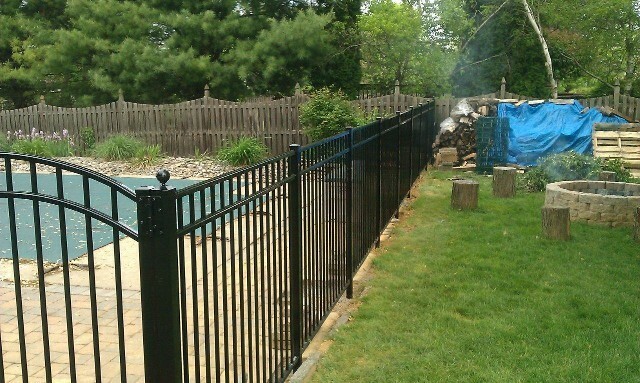 An upgrade from pressed point to a finial is available. 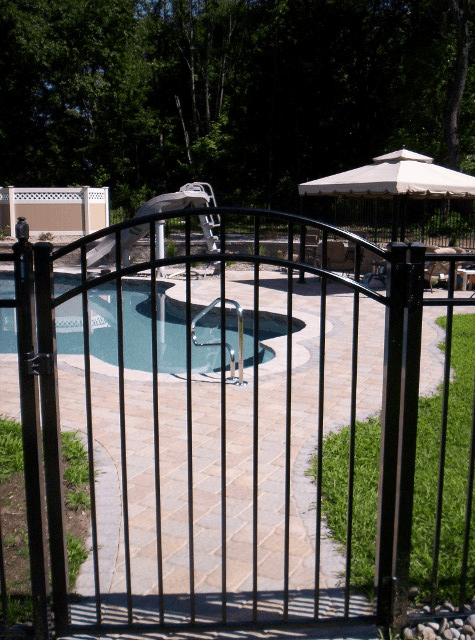 The last of the ‘open top’ styles, Ibis Style Aluminum Fence by OnGuard™ features pressed point pickets extending beyond the top rail in a concave pattern. On Guard offers arched and flat top gates in all of their styles, heights, a variety of widths and all the OnGuard powder coated finishes. Double drive and Estate gates are also available in standard and custom sizes. 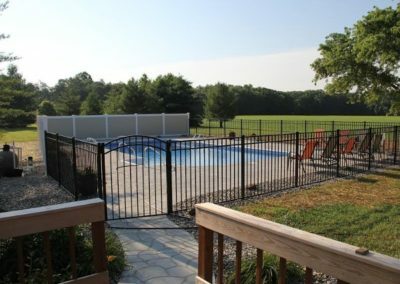 It is your choice of any of the five colors, but not all accessories are available on every style of OnGuard Aluminum Fence. 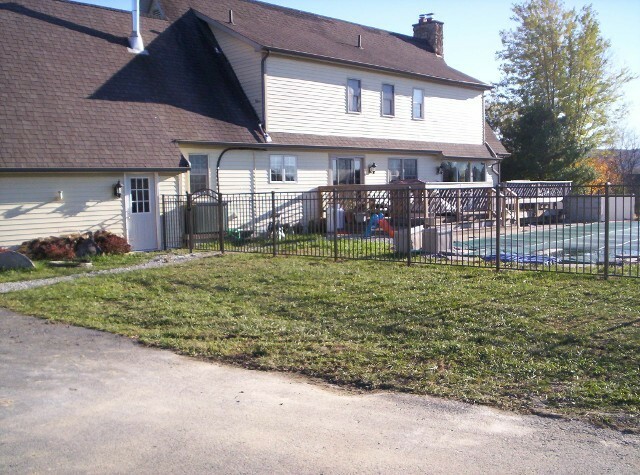 Individual style pages include accessories for that type of section. 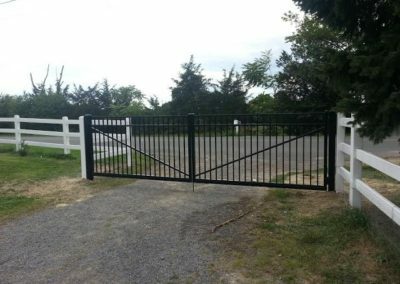 Gate pricing includes adjustable self closing hinges, stainless steel self drilling screws are shipped with panels and standard flat caps are included with posts. 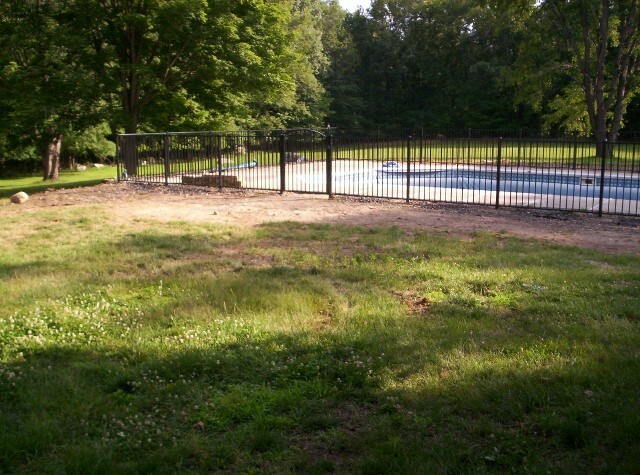 We include a free D&D Technologies MagnaLatch with the purchase of 25 sections and 1 gate.